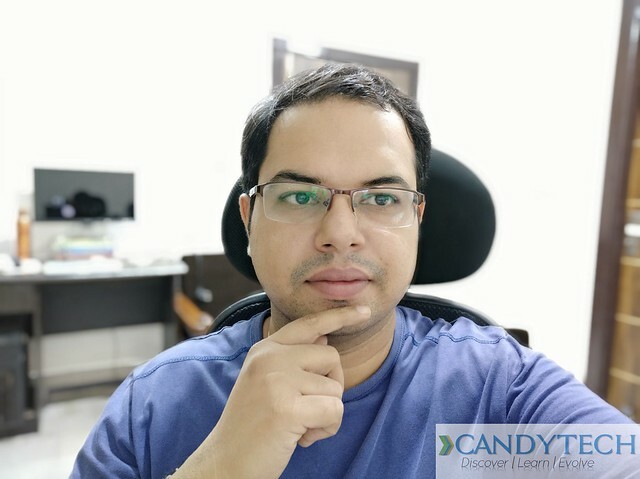 Udpated On 02/Jan/2019 – Dual Camera Smartphones are the new Swag in the market and there are some of the really good Dual camera mobiles available in India/ globally right now. If you are a photography enthusiast there are plenty of options available in different budgets. We have listed some of the affordable, mid-range and High-end Dual Camera smartphones, excellent for photography. While there are many single rear camera smartphones which are excellent for photography. The best camera smartphones you can buy right now are Google Pixel 2 XL, Google Pixel 3, LG V30+, Huawei P20 PRO, and the Samsung S9 Plus. While there are some really good Dual camera mobiles like the iPhone 8 Plus, Samsung Note 9 and the OnePlus 6 which are excellent choices. LG has also recently unveiled the new Dual Camera smartphone – LG G7 thinQ. Dual Camera smartphones are the future of mobile photography and are considered to be the next big thing which can make the photography experience superior on mobiles. Example 1 – LG G5/Asus Zenfone 5Z – In this Dual Camera setup there is 1 wide angle lens with lower resolution, for example, 8 MP camera lens on the LG G5, and a higher resolution 16 Megapixel camera to capture more details. Both the lens work independently and only 1 lens capture the image at a time. You can switch to the 8 Megapixel camera which comes with 135-degree wide angle to click broader shots for capturing landscape and natural scenes. Most other camera smartphones come with a 75-degree lens, 135 degree is even more than what human eye can see. Close Up shots are better with the more detailed 16 Mega Pixel camera which comes with a standard 75-degree field of view. LG G5 Camera switches between the lenses when you zoom in or Zoom out based on the scene you are shooting and you can change the lens with a tap in the camera App. Example 2 – Huawei P9 – The Huawei P9 uses both the camera lens simultaneously to capture the image. It is actually a double rear camera shot while G5 has two lenses which can’t be used together. In Huawei P9 there is a monochrome lens which captures the details in black and white (it is able to capture more details) the second lens captures the color details and both the images are merged and processed by the Image signal processor. Both the lens working together can capture more light up to 3X which helps in getting more details and also helps with a DSLR like focus effect. Add laser auto-focus to the system and you can capture details faster, but notable thing is image processing takes a bit of more time than a single shot captured by other smartphones like an S7 Edge. Example 3 – iPhone 8 Plus – The Dual camera on the iPhone 7 Plus is great and uses a similar technique like the Huawei P9 but there are subtle differences in the implementation. The iPhone 8 Plus camera come with two 12 Megapixel lens. But unlike Huawei P9 which have the same focal length for both the lenses Apple has used one 28 mm lens and the other 57 mm telephoto lens. The 28 mm lens captures a wider image while the 57 mm camera captures a more zoomed in the image for better portraits. The software identifies the subject (a human being) and the surroundings. The software optimization creates a more beautiful bokeh effect while stitching both the images. In this Dual Camera phones list we have most phones with the Dual rear camera while the Vivo V5 Plus comes with Dual Front Camera. Xiaomi Redmi Note 5 Pro is the latest offering from the company and comes with a dual camera set up at the back. The device is available on the official website for a price of Rs. 14,999 for 4 GB + 64 GB version and Rs. 16,999 for 6 GB + 64 GB version. Redmi Note 5 Pro features an aluminum body and a 5.99-inch IPS LCD display with HD+ resolution and 18:9 aspect ratio with a pixel density of 403 PPI. The most striking feature of the phone is its dual 12 MP (f/2.2) + 5 MP (f/2.0) rear camera that comes with PDAF and dual-Led flash. For selfies, it has a whopping 20 MP (f/2.2) front camera that has LED flash and Full HD video recording capabilities. Powering the phone is a Qualcomm Snapdragon 636 Octa-core processor clocked at 1.8 GHz along with Adreno 509 GPU. Also, it comes with a 4000 mAh non-removable battery that easily lasts over a day even with heavy usage and has support for Quick Charge 2.0. Price- Rs. 14,999 or Rs. 16,999. 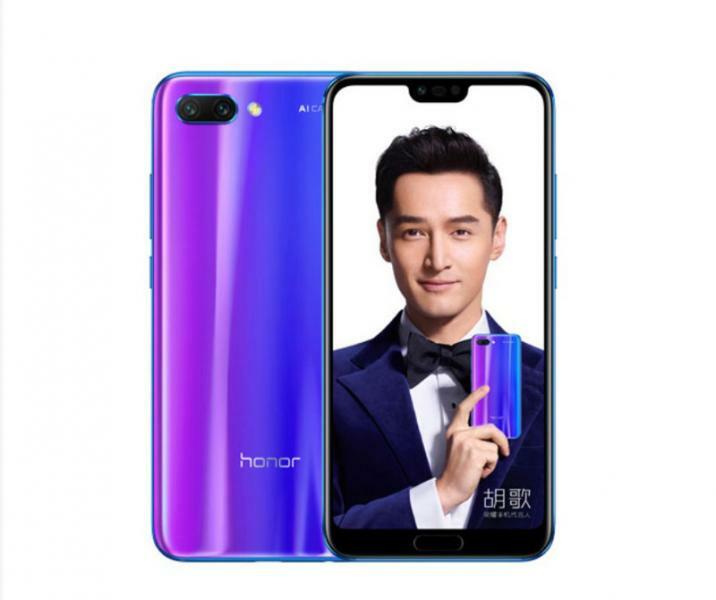 Huawei Honor 10 was launched in May 2018 and costs Rs. 32,999 for 6 GB + 128 GB storage model on Flipkart. For photography, it has a dual 16 MP (f/1.8) + 24 MP B/W (f/1.4) rear camera along with PDAF and an LED flash. Whereas, its front selfie camera is a 24 MP f/2.0 shooter. The phone runs on Android 8.1 Oreo and features a 5.84-inch IPS LCD display with a resolution of 1080*2280 pixels with a pixel density of 432 PPI. Powering the smartphone is a HiSilicon Kirin 970 Octa-core processor, and a Mali-G72 MP12 GPU for graphics performance. Also, it has a non-removable 3400 mAh battery with fast charging support. Huawei Honor View 10 comes with an aluminum body and features a 5.99-inch LTPS IPS LCD display with a full HD+ resolution and a pixel density of 403 PPI. It is available for purchase from Amazon for a price of Rs. 29,999 for 6 GB RAM + 128 GB internal storage model. The most interesting feature of the phone is its dual 16 MP (f/1.8) + 20 MP B/W real camera that comes with 2X lossless zoom, PDAF and LED flash. Whereas, its front camera is a 13 MP (f/2.0) shooter for taking selfies. Powering the mobile is a HiSilicon Kirin 970 Octa-core processor along with Mali-G72 MP12 GPU. Also, it has a 3750 mAh non-removable battery and comes with fast charging support. Rear Camera- Dual 16 MP (f/1.8) + 20 MP B/W with 2X lossless zoom, PDAF, and LED flash. Best Dual Camera Smartphones – Huawei has always been in the limelight for their dual camera setup. Honor Magic is widening the spectrum even further. The phone flaunts a futuristic design with prominent curves all over the edges. The glass smoothly melts to meet the flat aluminum sides. There’s dual 12 MP with f/2.2 aperture rear cameras. Accompanying the front 5.1 inch QHD AMOLED display is the 5 MP with f/2.0 aperture selfie shooter. The dual 12 MP serves the same depth of field effect executed on Huawei’s own P9 series. It’s powered by Kirin 950 SOC coupled with 4GB of RAM. Interestingly, it features front-mounted fingerprint sensor compared to rear mounted sensor found on many Huawei devices. It ships with Android Marshmallow & Magic Live UI skin on top. Which is totally different from the EMUI skin from other Huawei phones. The Xiaomi Mi A2 is one of the best mid-range dual camera phones in the market and comes at a price of Rs. 16,999 for 4 GB + 64 GB model. The device comes with a dual 12 MP (f/1.75) + 20 MP (f/1.75) rear camera setup with PDAF and LED flash. For taking selfies, it has an impressive 20 MP front camera with f/2.0 aperture. The phone uses a new Sensor from Sony the IMX 486 and the second sensor is the Sony IMX 376 sensor. The phone uses a unique pixel binning technology to improve the low light imaging. The camera performance is appreciable and can capture images with natural colors and contrast. It gets power from a Snapdragon 660 Octa-core processor along with Adreno 512 GPU for graphics performance. The phone boots Android 8.1 Oreo along with the Stock Android UI. Also, the mobile packs a 3000 mAh non-removable battery, which which is not well optimized by Xiaomi and is the sour point in this otherwise excellent device. Processor- Snapdragon 660 Octa-Core 2.2 Ghz Processor. Storage-64 GB internal storage non expandable. Rear Camera- Dual 12 MP (f/1.75) + 20 MP camera with PDAF, LED flash. OS- Android Oreo 8.1 Stock Experience. 3.5 mm headphone Jack – No. Apple iPhone 8 Plus is the successor to last year’s iPhone 7 Plus. Unlike the 7 Plus which came with aluminum body, iPhone 8 Plus now comes with a glass back. It has a dual 12 MP (f/1.8) + 12 MP (f/2.8) rear camera module capable of 2X optical zoom and has features like PDAF and quad-LED dual-tone flash. The secondary lens on its rear is a telephoto lens for lossless zooming to achieve better quality photos. The mobile has a 5.5 inches LED-backlit IPS Full HD display and comes with a pixel density of 401 PPI. It is a 3D Touch display with True-tone technology. Apple iPhone 8 Plus is equipped with Apple’s latest A11 Bionic chipset along with Apple GPU, and runs on iOS 11. Storage options available are 64/256 GB with 3 GB of RAM. Also, there is a 2691 mAh battery that supports fast charging, as well as Qi wireless charging. LG G7 is the successor of last year’s LG G6 and was launched at an event in New York in May 2018. Its price and availability in India is not revealed. The highlighting feature of the mobile is its dual 16 MP ( f/1.6) + 16 MP (f/1.9) dual rear camera which comes with features such as PDAF, face detection, HDR and LED flash. It can also record 2160p videos at 30fps. Whereas, its secondary camera is an 8 MP (f/1.9) selfie camera, capable of recording full HD videos at 60fps. The LG G7 comes with a 6.1 inches IPS LCD display with a resolution of 1440 x 3120 pixels at a pixel density of 564 PPI. It also has Corning Gorilla 5 protection. Powering the phone is a Qualcomm Snapdragon 845 Octa-core processor coupled with Adreno 630 GPU. The G7 boots Android 8.0 Oreo out of the box. There are two variants of the device: 6 GB + 128 GB and 4 GB + 64 GB internal storage. Further, internal storage is expandable up to 400 GB. Also, the device packs a non-removable 3000 mAh battery and has support for Quick Charge 3.0 technology. Processor- Qualcomm Snapdragon 845 Octa-core along with Adreno 630 GPU. OnePlus 6 is one of the most high-selling devices in the market currently. It comes in two variants and is available on Amazon for purchase for a price of Rs. 34,999 for 6GB RAM + 64GB internal storage, and Rs. 39,999 for 8GB RAM and 128GB internal storage. The most interesting feature of OnePlus 6 is its camera setup. It comes with a dual 16 MP (f/1.7) + 20 MP (f/1.7) rear camera setup with PDAF and dual-LED flash. The photos taken from OnePlus 6 are very sharp and have good detail in them. For selfies, the phone comes with a 16 MP front camera with f/2.0 and features like gyro-EIS and Auto HDR. Powering the device is the latest Qualcomm Snapdragon 845 Octa-core processor coupled with Adreno 630 GPU. OnePlus 6 features a 6.28 inches Optic AMOLED full HD+ display with a pixel density of 402 PPI and has Gorilla Glass 5 for protection. The phone runs on Android 8.1 Oreo with Oxygen OS on top of it. It gets power from a non-removable 3300 mAh battery and supports the company’s Dash Charge. Battery- 3300 mAh, Dash Charge support. 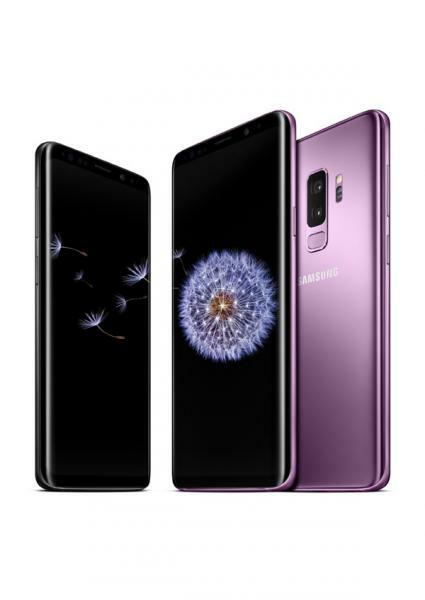 Samsung Galaxy S9+ is available for purchase from the official store as well as Flipkart for a price of Rs. 64, 900, Rs. 68,900, and Rs. 72,900 for 64 GB, 128 GB, and 256 GB storage options respectively. The highlight of the mobile is its photography department. It comes with a dual 12 MP (f/1.5-2.4) + 12 MP (f/2.4) rear camera and has Dual Aperture along with features like OIS, 2x optical zoom, PDAF and LED flash. Also, it can record videos in 4K resolution. On the other hand, it carries an 8 MP (f/1.7) front camera for taking selfies and features dual video calling and Auto HDR. Dual Aperture is an amazing feature to have since the phone is able to automatically switch between different lighting conditions easily. F/1.5 aperture helps the user to capture photos when it is too dark. Apart from taking photos, the camera of Galaxy S9+ is capable of recording Super Slow-mo videos at 960fps. Talking about the power, the mobile packs an Exynos 9810 Octa-core chipset along with a Mali-G72 MP18 GPU. Overall, it is a very fast processing unit, and handles heavy tasks easily. The Samsung Galaxy S9+ comes with a 6.2 inches Super AMOLED screen with a resolution of 1440 x 2960 pixels at a pixel density of 529 PPI. Additionally, it has Corning Gorilla Glass 5 for protection. The phone boots Android 8.0 Oreo and gets power from a 3500 mAh non-removable battery with support for Quick Charge, and Qi wireless charging for some of the global markets. Price- Rs.64,900 or Rs.68,900 or Rs.72,900. There are some more new Dual Camera smartphones which we plan to add to the list like the recently launched LG G6 at the MWC 2017. More smartphones from Huawei and other brands are expected to come with more advanced Dual Camera technologies and even some will come with the triple camera to take advantage of AR (Augmented reality features). Recently Lenovo has launched the Lenovo Phab 2 Pro which comes with 3 cameras at the back and 1 front Selfie camera. If you have any favorite Dual camera smartphone, do share with me in the comments below or if you want us to add any new smartphone with a Dual camera, do share your feedback. Its been quite some time since the release of the Mi A2 in India. However the 128GB storage variant is still not available in India. Neither has there been any announcement as to when the A2 128GB would be available in India. 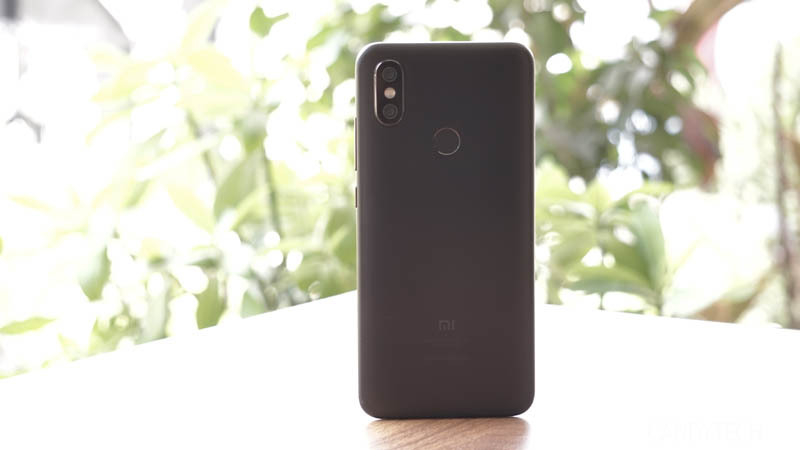 On account of its excellent cameras, stock Android and price, there would undoutedly have been customers for this variant of the Android One Mi A2. However, the only option as of now, is to consider at some other phone with 128GB storage – like the Huawei Nova 3i. Pretty good phone for photography and nice display. I think Xiaomi Redmi Pro are a Good Dual camera phone.what are you think about?does it can to stay in the list of 10? ?